Take the Prevent Cyberbullying Pledge! In this new adventure, the Web-surfing Techno Cat learns that downloading is a great way to get information . . . if it’s done the right way. 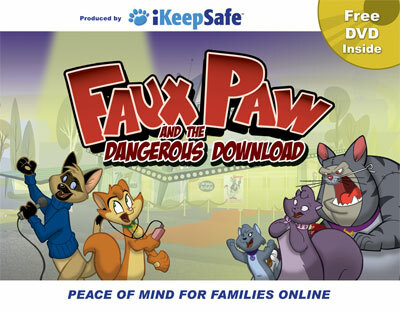 When using a risky file sharing program to get a new song, Faux Paw learns the hard way that illegal downloading hurts everyone, including herself! Have you ever gotten your real life mixed up with your online life? 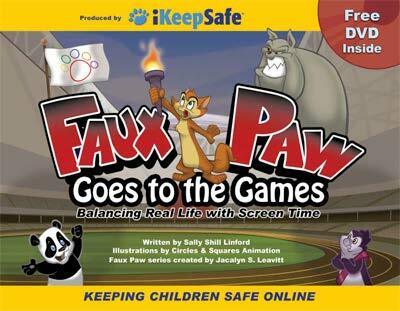 Faud Paw did, and wow, did it cause a problem! After she got invited to light the flame at the Great Animal Olympics, she got distracted playing WcW–Worlds of CatWars–online. Read this story to find out if she was able to make it to the opening ceremonies in time to light the Olympic Cauldron. Do you know what you should do if someone says something mean or untrue about you online? What about if it happens to one of your friends? 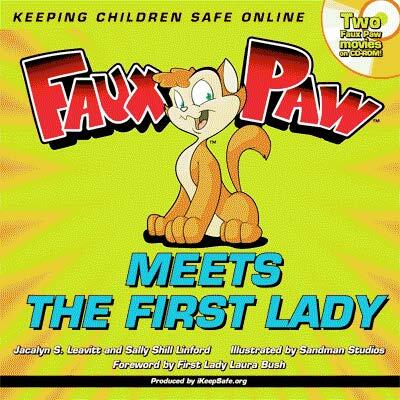 Learn what Faux Paw finds out when she meets former First Lady Laura Bush. The internet is like a big city with great places to go, but you have to be careful! Faux Paw found this out first hand. 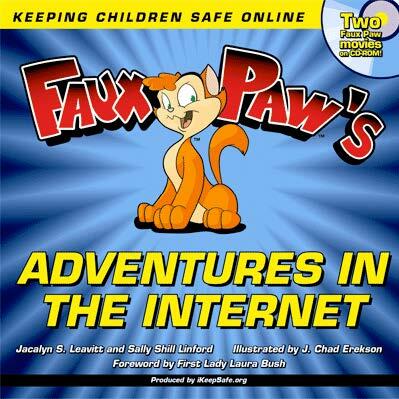 She had a REAL adventure on the internet, and it wasn’t the fun kind. When you read what almost happened, you’ll see why it’s so important to follow the rules for online safety!